K 1600 B – a high-class touring bike like none before it. With the most compact and efficient in-line 6-cylinder engine ever installed in a series production motorcycle. 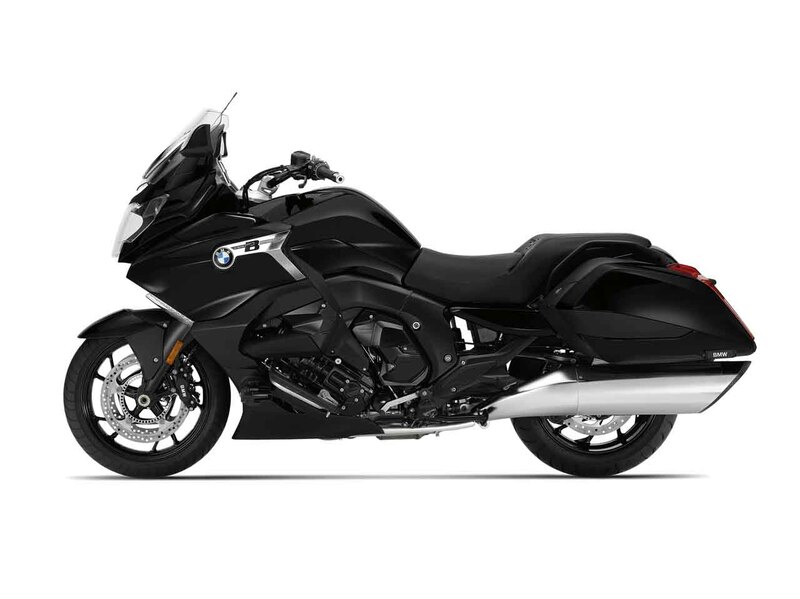 The ergonomics of the K 1600 B are designed for long trips and leave nothing to be desired for either rider or pillion passenger in terms of comfort. The slim design in the area of the rider’s seat and the fact that the handlebars reach far back allows a relaxed seating position – for hours and over hundreds of miles. The pillion passenger enjoys a sizable seating area and a comfortable backrest. The 1600 B based on an aluminum frame with a magnesium front structure, is sophistication on wheels, a long-distance traveler that’s equally at home gobbling up superslab or attacking twisty bits with a composure that’s almost unreal for a nearly 800-lb. machine. “Exclusive” at first sight: three layers of paint give the outer skin of the B Exclusive a level of quality and depth which is unparalleled. Mineral white metallic is seamlessly blended with gentle Magnesium metallic matt and supplemented with numerous surfaces finished in chrome, seats in matching colour and a wealth of other details – the B Exclusive radiates luxury and dynamic performance from every angle. This bike comes with a liquid-cooled, 4-stroke, 1,649cc, twin-cam, inline-6 engine. Fuel injection makes for effortless cold starts and smooth power delivery. Exclusive’s new rear seat. It’s wider and longer than the standard B’s, and it’s fitted with a more comfortable backrest that extends all the way down to the lower part of the topcase. Better yet, the upper backrest is now heated, and fold-down armrests, an accessory on the standard B, are standard equipment on the Exclusive.